- On November 28, 2012, for the fifth time in 10 years, the former British protectorate of Somaliland held multiparty elections. With more than 2,000 candidates from seven political parties and associations contesting 379 seats, international observers described the polls as transparent and largely peaceful. But while hundreds of thousands queued patiently to cast their ballots, the election is at best a footnote in the annals of contemporary African democracy. For Somaliland is in an unfortunate historical position: joined with Italian Somalia in 1960 to form the postcolonial republic of Somalia, the republic's chaotic vacuum of governance over the past 20 years has brought havoc to all parts of the country. In 1991, Somaliland charted its own course: it declared independence from the internationally recognised state of Somalia, formed its own governance institutions from its capital of Hargeisa, and set about rebuilding its infrastructure and economy. No other state has recognized Somaliland's statehood, although neighboring, landlocked Ethiopia has extended some diplomatic privileges and uses the port of Berbera as an alternative to the near monopoly of Djibouti. For years, turmoil in southern Somalia made Somaliland's relative calm seem even more remarkable. Recent progress in Mogadishu, including a peaceful transfer of power to a new president, has encouraged some international actors to renew attempts at talks between Hargeisa and Mogadishu about political reconciliation. Whatever the future of the country formally known as Somalia - one state, two or more - Somaliland's decade of elections has institutionalized local democracy and developed a very different political reality in the north-west Horn of Africa. And notwithstanding more positive trends from Mogadishu, a credible, pluralistic democratic election remains a distant aspiration for south-central Somalia. Where in 2002 only five women stood for election in Somaliland's local elections, more than 140 did so in 2012, in what is still a conservative, Islamic society. In unprecedented numbers, young people participated as voters and candidates, aided by an age of majority set at only 16. Disputed areas of eastern Somaliland saw much more extensive voter participation than in previous polls, and the emergence of new parties and associations will set the scene for a potentially more representative political class in the future. Somaliland's electoral democracy hasn't been without challenge: there were some weaknesses in the electoral process, including incidents of multiple voting. Results from the current vote have taken longer than hoped to collate, and there have been a number of protests, some violent, against figures announced so far. 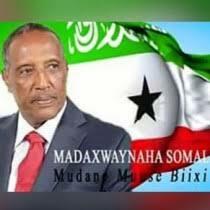 To the disappointment of Somaliland's political elite, an earlier series of successful elections - including, in 2010, the defeat of an incumbent president and a new regime peacefully coming to power - haven't moved Somaliland much further down the path of international recognition, either. Political uncertainty has slowed business investment in Somaliland, although there are some signs of this changing: Coca-Cola recently licensed a local company to bottle and distribute its drinks. Production has begun at a factory outside of Hargeisa. A number of oil blocks have been awarded to foreign companies for prospecting, although no significant find has yet been made. The bulk of the economy is driven by remittances, and by a successful diaspora returning as entrepreneurs and investors. Amid some promising signs, Somaliland's future is still uncertain. In financial terms, Somaliland cannot afford its democracy - with a limited base of revenue and almost no tax collection, the government in Hargeisa can only afford to pay about a fifth of the costs of the vote. The rest of the money for this election, as with previous polls, comes from mostly European donor countries. But Somaliland cannot easily abandon democracy either. The people of Somaliland have become accustomed to being involved in a formal, consultative political process, even if more traditional clan and community structures remain important markers of identity. Presidential and parliamentary elections are due in 2014 and 2015, but the money to organise the votes is yet to be found. As with much in the Horn of Africa, progress is fragile and vulnerable to reversal. But Somaliland has demonstrated resilience in overcoming a legacy of civil war and destruction, and the difficulties in building a new country on imperfect foundations. In a mostly barren region, democracy has germinated, and further care is needed to ensure it survives.